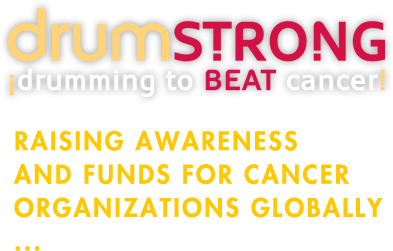 drumSTRONG : drumming to BEAT cancer. | drumming to BEAT cancer. DrumsForCures was created as a natural expression of our family's desire to be a vibrant part of beating cancer. 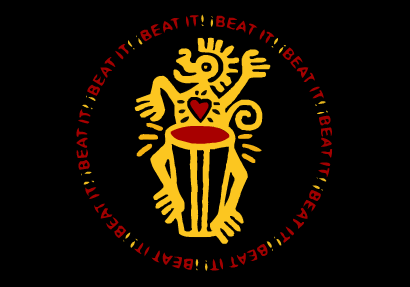 Since rhythm is universal we decided that an event centered around the art and fun of hands on drumming would be a great way to bring people together. Folks from all across the world have embraced the DRUMSTRONG message. No matter where you are you will find an event near you. Get involved and make a difference. Help us BEAT cancer. Join celebrity artists and communities worldwide supporting survivorship, education, sharing resources and raising awareness & funds for important cancer initiatives .. through Rhythm. Drumming to BEAT cancer. You are facilitating the sharing of valuable cancer resources and lending your support to those touched by cancer. Because of you, DRUMSTRONG is making a sound impression on the health of our communities.